Although humans can survive in nearly all of the Earth's climates, most animals aren't nearly as adaptable. As temperatures climb and conditions on Earth shift, more than two-thirds of species could face extinction. Should the average global temperature rise by 3.5 degrees Celsius, between 40 and 70% of all assessed plant and animal species are "likely to be at increased risk of extinction," according to a 2007 report from the Intergovernmental Panel on Climate Change, a United Nations-sponsored organization. 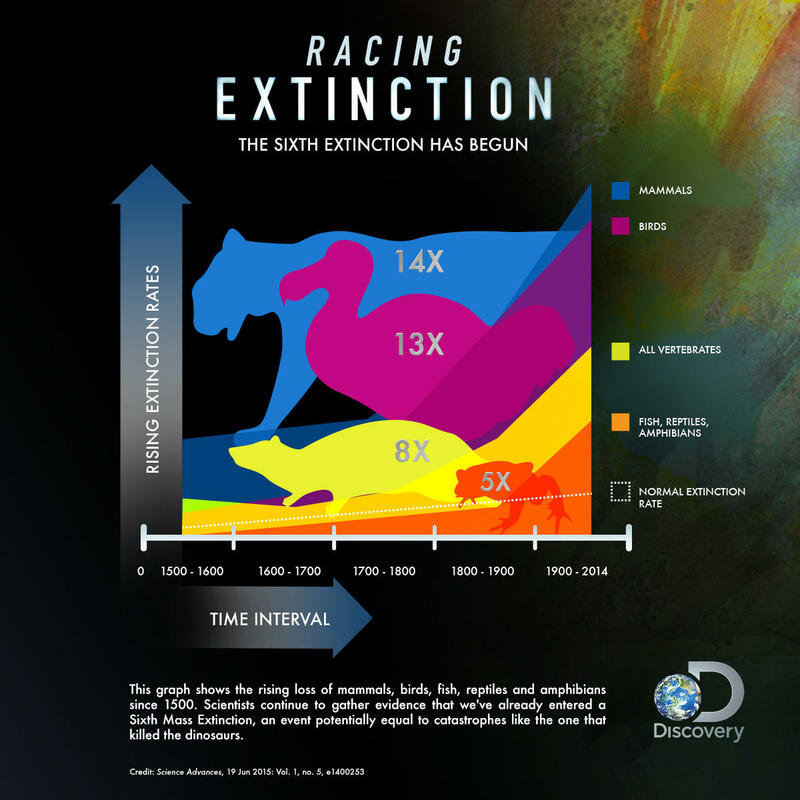 In the study, researchers peg several causes for the acceleration of extinction, including habitat destruction, introduction of invasive species, climate change and ocean acidification.